Charlie completed her BSc (Hons) in Psychology and Criminology from the University of Lincoln and went onto complete an internship in the university’s Careers department. Since then Charlie has worked with vulnerable people in the social housing sector. Charlie has recently joined the Employer Engagement Team as the Employer Engagement Events and Administration Assistant. 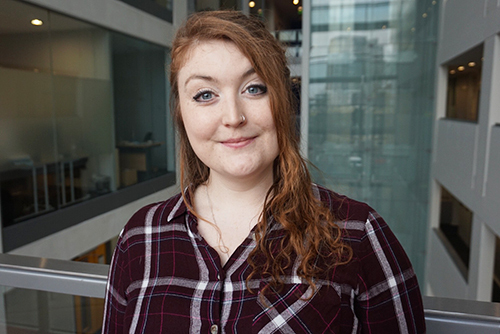 As part of her role, Charlie will be working closely with the Employer Engagement Advisers to help organise events on campus for City students. She also manages our vacancy board and helps promote employers and vacancies to City students.